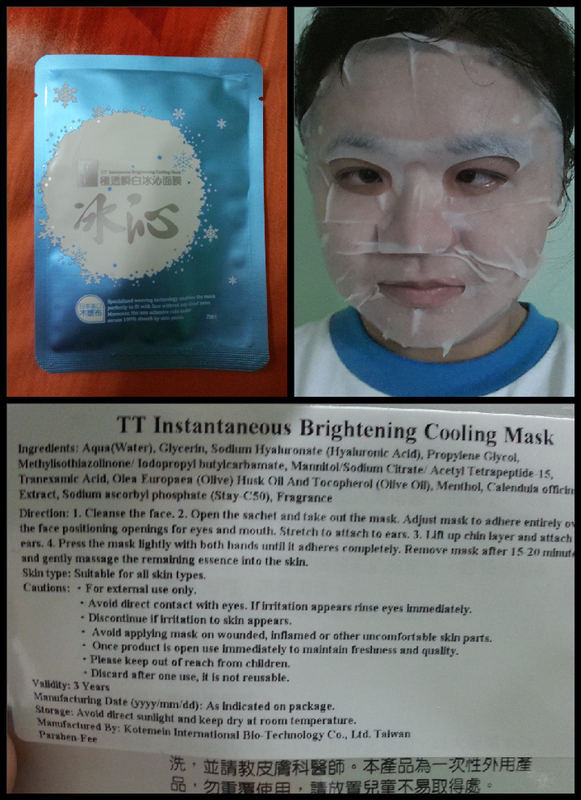 After using the Anti Aging mask, it is time to use the TT Instantaneous Brightening Cooling Mask. 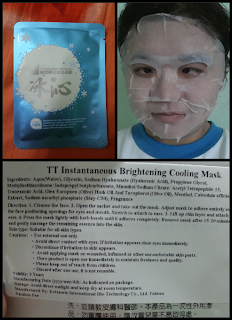 I love this mask so much, it is cooling mask indeed, after put on the mask I can feel the cooling feeling. I leave this mask on face for 15 min to 20 min. Moreover, the non adhesive cuts make serum 100% absorb the skin pores. Don't forget to check out their Beauty Expo event this coming 18 to 21 May, 2013 in Kuala Lumpur Conventional Centre at Booth number 2003 and 2005.